Over the last year or so, I realized I really wanted to start decorating for holidays and seasons. 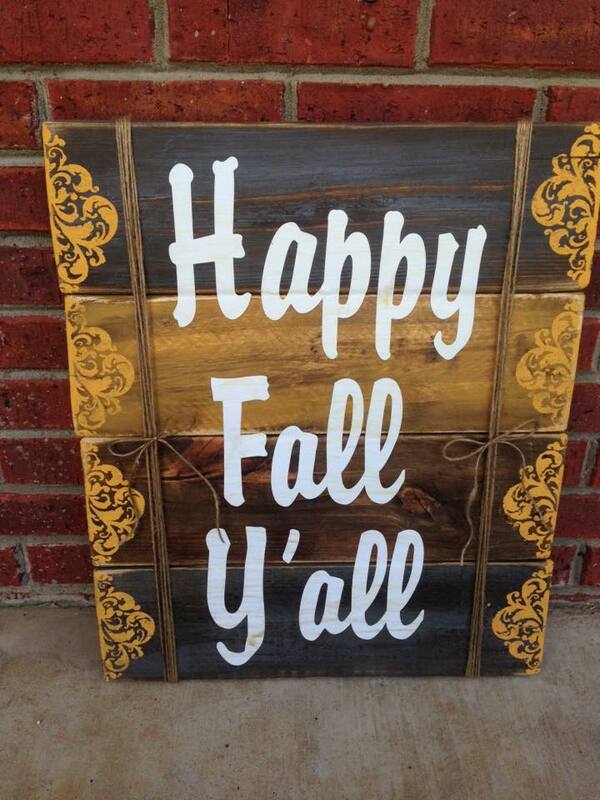 When I came across Duffields' Darling & Distressed's Etsy store, I was thrilled! They have some incredible works of art that I know many people would love. 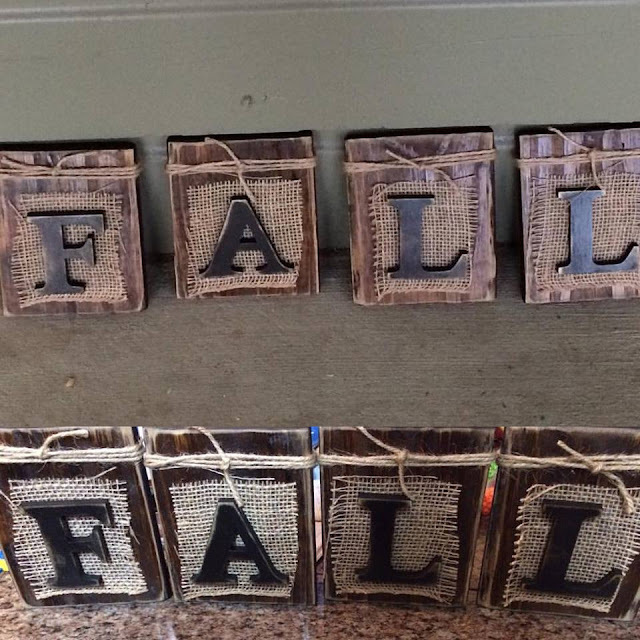 I am reviewing the "F A L L" block letters today. Each block is made of a thick wood that looks "aged" or "distressed". There's a piece of what appears to be burlap, then the thick wooden letters ontop. To add to the shabby chic feel, there's some nice twine wrapped around the top of each one which can be used to help hold them up on the wall or just look great with some pumpkins. When I opened the box and saw these, I loved them. I took a picture of them on the dining room table (bottom) with some inside light, and then outside my front door (top) with natural sunset light. What I love about these is not only the weight of each, but how sturdy they are. These will not break easily nor will they fall apart. 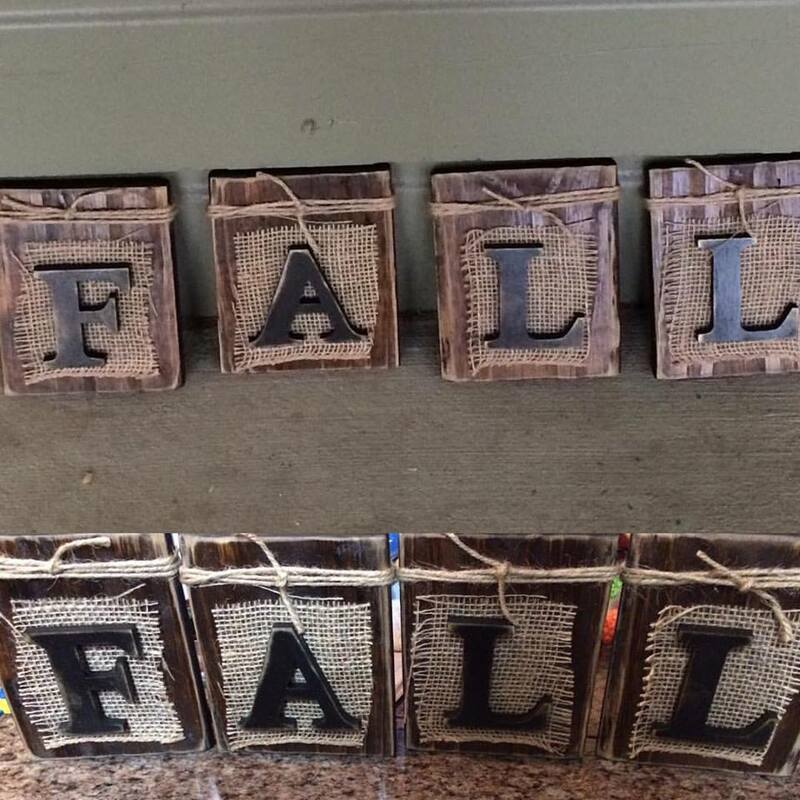 You won't find the letters falling off and landing on the ground in the middle of the night and the burlap will not fray. It really is a fantastic piece of decor that I can use over and over again for years to come! You can separate each block a bit and add an Autumn flower in between. You can place mini pumpkins in front of them, or you can keep them close together and put two large pumpkins on each side. There's so much you can do with these! If you're looking for great Autumn decor you should check this place out. Their prices are extremely reasonable, their customer service is excellent, and most of all their items are fantastic. Let them know The Review Ballerina sent you!